Stacy Ortega grew up in Wichita, in a large extended family, with parents who valued education, honesty, hard work and loyalty to family and community. She earned her bachelor’s degree at Wichita State University while working multiple part-time jobs to pay her tuition. Stacy attended the University of Kansas on an academic scholarship and then returned to Wichita to practice after graduation, to be close to family. Stacy and her husband have raised their sons in Wichita, the community that they love. 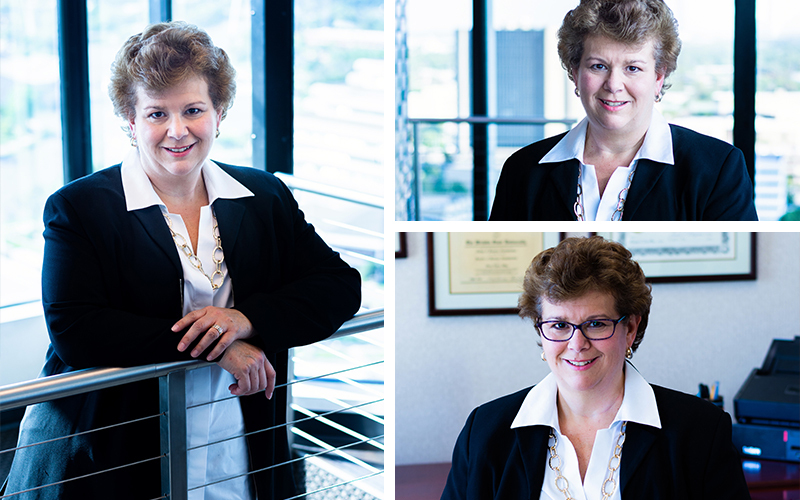 Stacy has been advising and advocating for her clients in family law cases for over twenty-five years. She is also an approved mediator and case manager for domestic cases, including high-conflict custody matters. Stacy is active in the Wichita and Kansas Bar Associations, serving on Family Law, Legislative and Service to the Bar committees. In her free time, Stacy enjoys spending time with her husband and three sons and supporting local charitable organizations and animal rescue groups.